You’ve probably heard that students don’t care how much you know until they know how much you care. Hold that thought. Reminder: episodes released about twice a month during the summer. 2 | Should We Give Slides to Students? 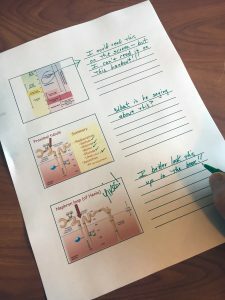 Students often want a copy of our slide presentation before class, so that they can take notes by simply annotating our slides. Is that a good idea? Is it okay to sleep in on weekends to “catch up” with sleep lost during the week? Some new evidence from a large study. Why Kevin is committing to take specific steps to show his students that he really cares about them. And how he is committing to care, no matter what. Can you find Kevin’s picture with a heart? Thanks for sharing this info Kevin. I found the info about sleep quite interesting and gives me hope! I also wanted to let you know that it seems both links above to the articles by Kyle Redford and Lauren Dotson lead to the same document by Dotson. Thanks for the feedback, Jeff! I think I have the broken link fixed now (thanks for alerting me).